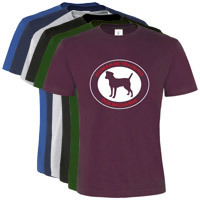 This fun quality cotton ladies t-shirt states "Human In Training - Dog In Charge". The perfect t-shirt for dog lovers. 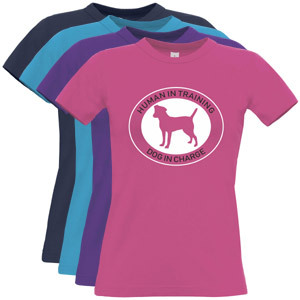 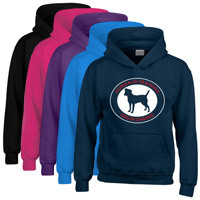 Available in 5 sizes and pink, blue, purple or navy colours. 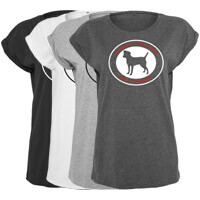 These slogan t-shirts are a shaped fit for women. 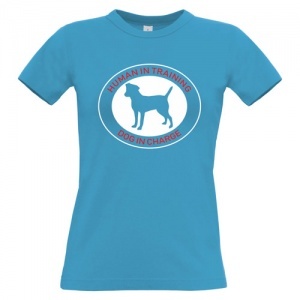 Great for walkies or days out with your pooch.